On an unforgettable Day Trip to from Casablanca, discover the fascinating green sites and historical monuments of the beautiful Moroccan Capital. After breakfast, our driver will pick you up from your Hotel in Casablanca then drive towards Rabat, the capital of the Moroccan kingdom. Upon our arrival, we will start exploring the magnificent monuments and green gardens of the fascinating old city, enjoying its beautiful domes, minarets, wide avenues, and green spaces. First, we will visit the famous Hassan Tower, standing on the hill overlooking the Wadi Bou Regreg. The gigantic mosque, emblematic of Rabat is famous for its unfinished minaret and fancy Moroccan architecture. After that, we will continue towards the Mausoleum of Mohammed V, exploring its decorated stained glass windows, white marble and a wrought-iron entryway with a stairway leading to an impressive dome. The Mausoleum is considered to be a masterpiece of modern Alaouite dynasty architecture, with its white silhouette topped by a typical green tiled roof. 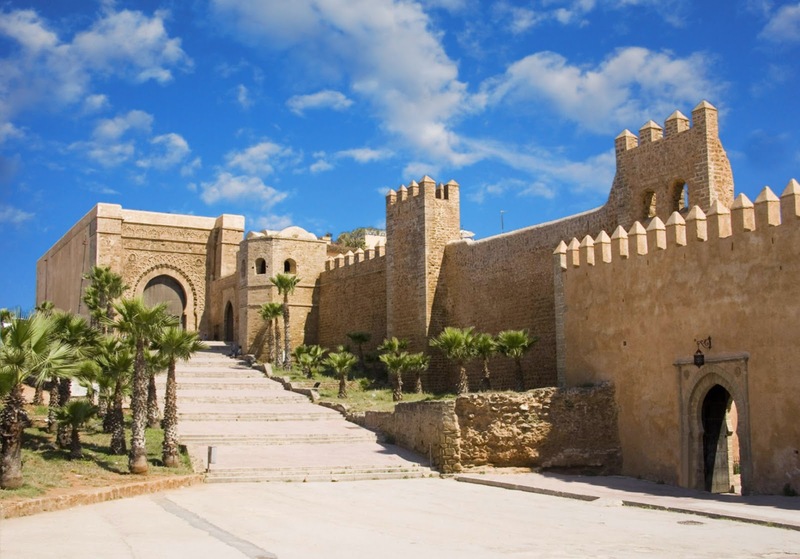 Your driver would also take you to the Kasbah of the Udayas, a picturesque UNESCO World Heritage Site, that was built by the reign of the Almohads in the 12th century to protect the city. The Gate of the Kasbah by its own is the perfect example of the authentic Almohad military architecture. You would be also able to see the impressive Musée de Oudaïa and Moulay Ismaïl’s palace discovering the most fabulous collections of Moroccan folk art. We will have some time to relax in the most beautiful, Moorish style Andalusian garden. After that, our team will walk you through the labyrinth of souks and artisan shops of the old Medina, traveling back into the Moroccan history feeling the history of rich cultures and old empires. The Medina is the most spectacular old walled section of the city filled with maze-like streets dotted with fountains, palaces, mosques, and markets. After visiting the Mellah, the Jewish quarter of Rabat, we will enjoy a tempting traditional Moroccan Tagine for lunch in an authentic little restaurant in The Medina. On the modern part of Rabat, we would take you through the wide boulevards, open green spaces and avenues lined with residential blocks. Moving to The Musée Archéologie, where you would discover the most extensive collection of archeological artifacts, then the mysterious Roman gardens of Chellah. At the end of our Day Trip From Casablanca to Rabat, we will enjoy our coastal drive back to your Hotel in Casablanca.